Did your super hero fan kiddo love Spider-Man's Homecoming? We get it, combine Iron Man with your simple neighborhood Spider-man and you've got a wholesome yet somewhat haphazard billion dollar hero. A bored high schooler in a state-of-the-art suit that spends his time sharing a churro with nice Puerta Rican ladies, what's not to love? We all knew what was about to go wrong when good old Spidey took the limitations off his suit, after all, Stark industries don't usually keep things simple. So, while what used to be a simple spray of web could be taken anywhere from the ricochet setting to web ball setting which is cool but a lot more complicated than our young hero is used to. We bet your kid has thought up all sorts of new uses for these sweet new features. 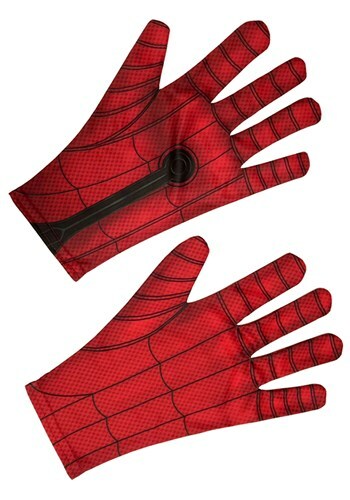 So, this Halloween when your heroic kid is gearing up to be Spider-Man, the right gloves are more important than ever. After all, what good is new tech when you don't have all the parts?